Bednar Landscape Services is a team of premier New Jersey landscapers who can help you with lawn maintenance, hardscape designs, retaining walls, masonry, snow removal, and more. Whether you need excavation contractors for a specific project, seasonally, or want to outsource yard landscaping design and maintenance on an ongoing basis, look no further than Bednar Landscape Services. We offer high quality services from landscape designers with a wide range of expertise and proven track record of success serving NJ homes and businesses. We’ve served the Boonton, Morristown, Randolph, Caldwell, and Basking Ridge (plus surrounding areas) of New Jersey for over fifteen years. 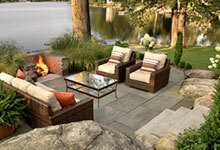 We have a solid reputation for excavating amazing landscapes through creating custom designs to meet any need. Renowned for creating tranquil and harmonious designs, Bednar Landscape Services employs only the best landscapers in the northern and central New Jersey area. 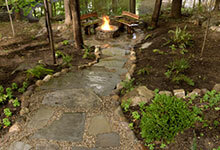 We have expertise spanning a multitude of yard landscaping design areas. Choosing from available options for landscape designers can often be challenging, especially when you want one who specializes in masonry, retaining walls and lawn maintenance, in addition to landscape design and snow removal. When you work with us, you get professional expertise according to your wants and budget, and you get a beautiful outcome that adds beauty to any outdoor space. 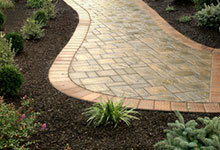 At Bednar Landscape Services, we care about your satisfaction. You’ll benefit from the unique advantage of being served by an established and renowned NJ professional landscaping company. Owned by three partners who leverage a variety of skills and expertise, we’ll provide you with an outcome that saves you time and owner of your property. 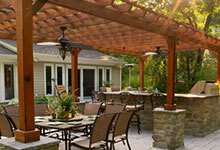 NJ homeowners and businesses that want high quality at competitive prices can contact us for a quote. We’re based in Boonton, NJ and also serve Morristown, Randolph, Caldwell, Basking Ridge, and the surrounding communities.